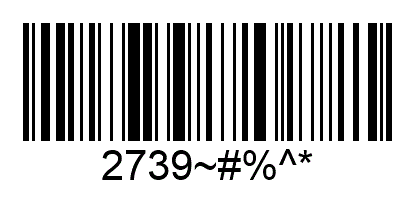 When using the Dynamic Barcode Generator Subscription, we want to encode certain characters, like #, but the barcode will not encode that character (or anything after it). Because of how URLs are interpreted, there are certain characters that are reserved (=, ;, /, #, ?, :, &, and space). The way to encode the reserved characters (in the data itself) is to use an escape character, %, plus the hexadecimal (hex) number equivalent for that character from the ASCII Table.